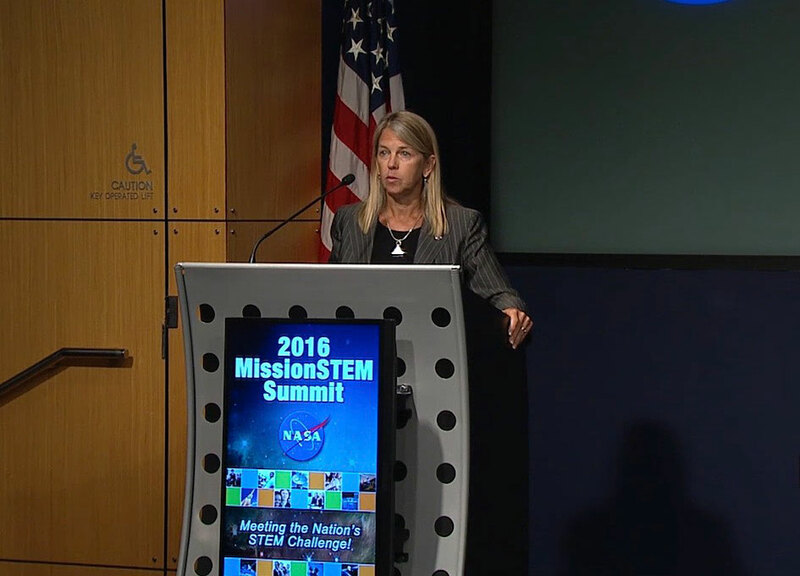 NASA MissionSTEM Summit 2016 - Opening Session and Keynote Address. NASA is hosted its first MissionSTEM Summit Aug. 8-9 at the agency's headquarters in Washington, bringing together representatives and students from grantee institutions, federal and grantee civil rights compliance officials, and other experts from government, academia, industry and professional organizations. Special guest speakers at this opening session include NASA Deputy Administrator Dava Newman, Tina Tchen, assistant to President Obama and chief of staff to the First Lady, and Jo Handelsman, associate director for Science in the White House Office of Science and Technology Policy.